BMW releases new footage of the new 2010 BMW X5 facelift. Along with the official videos, we have also included below our own ad-hoc footage from the Alligator Alley in the beautiful, sunny Florida. Last week, BMW began hosting its international media event where the spotlight is being put on the new X5 LCI. Along with the U.S. models, xDrive35i and xDrive50i, BMW also introduced for the first time to the European journalists, the latest and greatest diesel powered X5 SAV: xDrive40d. The driving even consisted of a combination between city and highway driving, and some unexpected, but fun to do offroad driving. 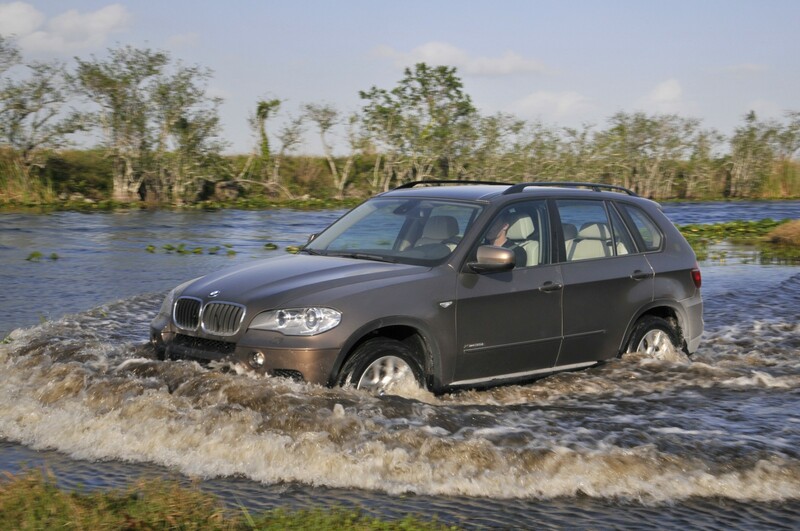 Despite the title of a Sports Activity Vehicle, the X5 certainly can perform some offroad duties as well, to an extent of course.